Prestige met Wilhelm Schmid CEO of A. Lange & Söhne during his visit to Beirut, for the opening of their boutique. He talked about their watches, novelties and the German way of working since the brand was founded in Saxony. 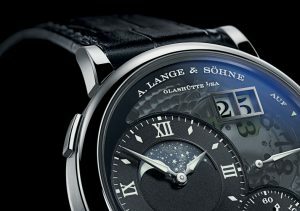 He also pointed out what makes Lange’s watches so unique. You are in Lebanon for the opening of the new boutique. Why is it important to have a boutique in Lebanon and now? We have been working with our partner in Lebanon, Cadrans for quite a while. We saw the market developing and decided that the time is now right to go to the next level and open a boutique. It is the result of a process of two years of negotiations. On the long term I think it is a good investment. 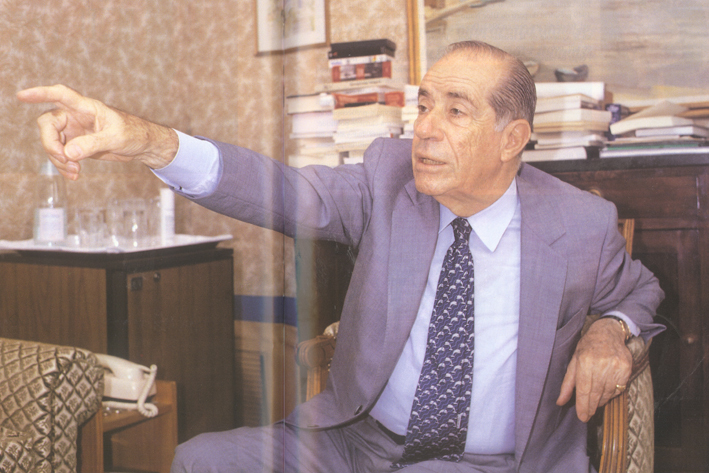 What is the importance of Lebanon as a market? There are good watch collectors in Lebanon, which is most important for us. What are the advantages of having a boutique compared to staying in a multi brand boutique? The personnel working in a mono brand boutique are better trained, because they only work on one brand. If you are responsible for three, four, five brands with all the novelties, all the different movements, it becomes difficult to have somebody trained to answer all the clients inquiries. 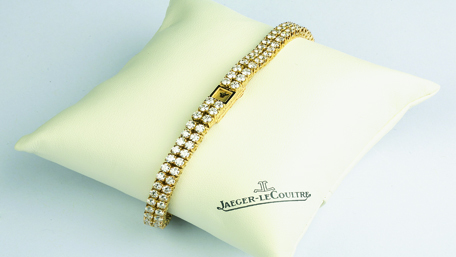 In Paris for example, you have the boutique and you are present in multi brand boutiques. It’s quite complementary, many customers come to the boutique because they have a bigger variety of different products, you can see the novelties, you can have a cup of coffee, you can talk to people that know the brand better than people in a multi-franchise environment, they can complement each other if you have your production under control and if you have your points of sale under control. 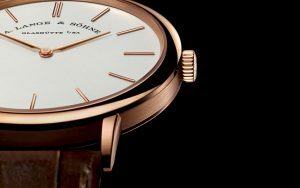 What is the customer’s experience in a A. Lange & Söhne Boutique? What differentiates it from other boutiques? First of all, you will have access to products that you don’t find elsewhere. You will find people that have the time and patience, the passion to explain the technical features of our watches, it’s that warm inviting feeling and competent people to talk to. 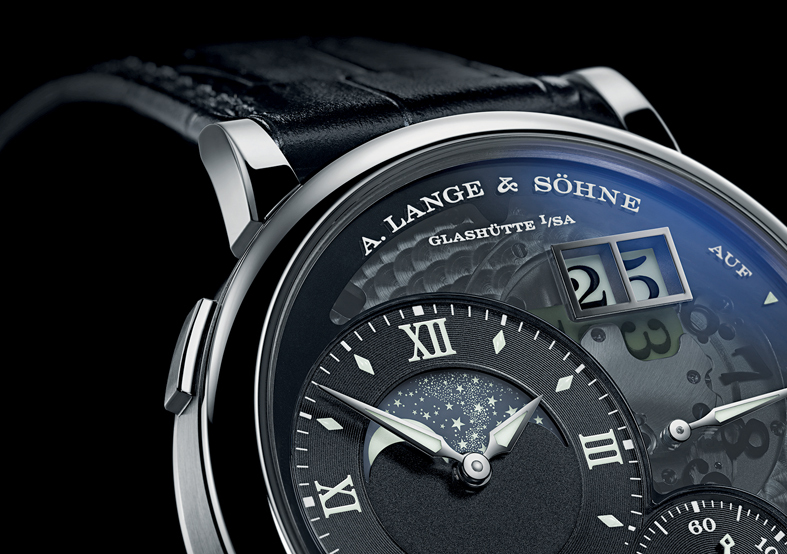 A. Lange & Söhne is mechanics and mechanics is Lange. Mechanical masters is the theme this year. What is different from the previous years? We always have a theme, which will help us throw a golden thread throughout the year. If we do events, if we plan exhibitions, if we make decoration we have to have a focus point. Last year was the 200 anniversary of our founder, and that was the guiding theme. 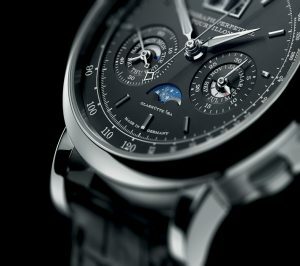 This year we decided on mechanical masters and the products we launched, as novelties, are mechanical masters like Datograph Perpetual Tourbillon, Richard Lange Jumping Second, Saxonia Moonphase and Grand Lange 1 Moonphase Lumen. I think we had more new movements than all the other watchmakers together, on top of a very sophisticated product range about mechanical masters. If you have been to the SIHH you would remember this backroom we had, where we displayed big parts to showcase how tiny little parts would look if we make them bigger. The main piece was the Datograph Perpetual Tourbillon, can you tell us about it, what makes it special? The problem with most perpetual calendars is about their readability. They have so many informations, at the end you loose track on the main information. In our model you can read the date easily, everything will jump at 12 o’clock midnight instantaneously, the little power reserve indication appears, also the flybackchrono, they are very few watches that explain the brand better than this one, it looks complex but it’s also a sort of understated design. It’s not opulent. What makes the difference is the backside of that watch, that’s when we can truly say it’s quite opulent, the decoration is like a little landscape with a big tourbillon turning around, all these parts part of the Datograph movement, you can’t see a lot of the perpetual calendar because that’s all on the dialed side. Of course it comes with typical features that adjust the time properly and the typical thing for the datograph, is that the perpetual calendar is easily adjustable, if I pull the crown that push button will be activated, and every push will move all indications, so if it’s only for seven or two weeks or so you don’t need to make the hassle of checking the moon phase, it’s very easy you pull the crown you push it many times every day and then it changes quickly. You come from a mechanical background, cars and BMW, we have the tendency to always compare watches and cars. Seeing both sides, does this comparison work in real life? No it doesn’t, there are differences: first of all, the car is a consumable, our watches are not. The second thing cars are industrialized products, ours is the opposite, you can’t build a piece and say if that would be a car, it would be this brand, it doesn’t work for us, I wouldn’t know which brand to put in this category, because they are all different of what we do, sport cars are very ostentatious, you will find a car with an understated design and very sophisticated technique, I would struggle to find the pair that would match us. Would you consider time a friend or a foe? I think it can be bit of both, if you rush to the airport and you’re late, time becomes quickly your enemy, and if you enjoy yourself with friends having a good time, then it’s your friend. What would be your perfect moment? I think all human beings tend to strive for what they don’t have. In the moment they have it, they would strive for something different, so for me a perfect moment is for example I will be back tomorrow night, I will have supper with my family, that for me is a perfect moment. If I had that every day and hourly, it wouldn’t be a special moment anymore. 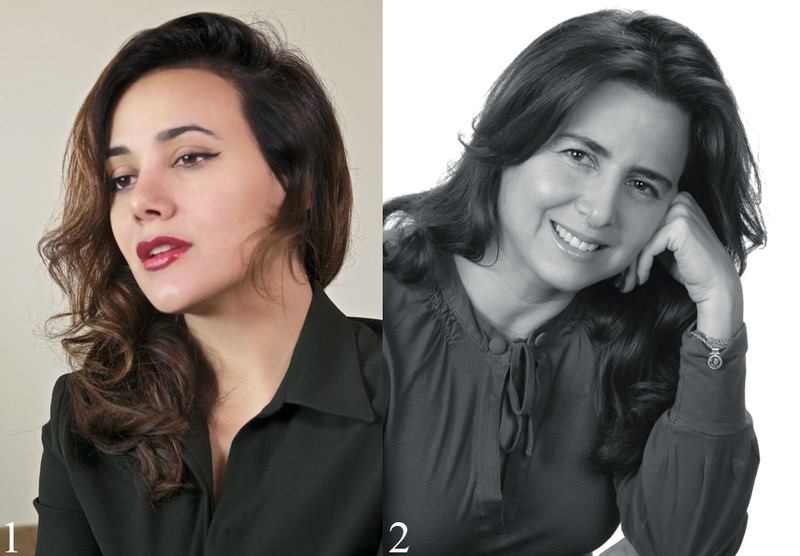 La Fondation Horlogerie opened two days ago to train the new generation of watchmakers. 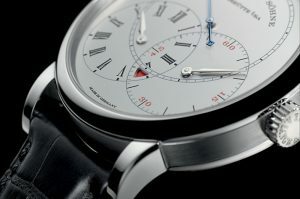 Is A. Lange & Söhne part of this? 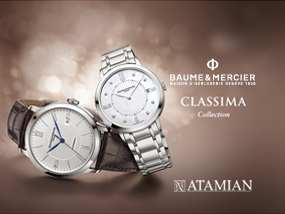 No, we have our own watchmaking school in Glasshütte. We have been running our school for so long and it doesn’t make sense to bring people from Glasshütte to Switzerland. We use our German training facilities for our retail partners, there are certain things that we are evaluating at the moment to combine into our training packages with our retail partners.